The Weekend Food Program is a partnership with Liberty Middle School & Monrovia Middle School and Morris P-8 school in Huntsville that provides food for students in need to take home and have over the weekend. Volunteers for WFP share a variety of tasks such as inventory, shopping for food, packing and sack delivery to the schools. Packing is generally the last Sunday of the month but fluctuates within the school calendar. 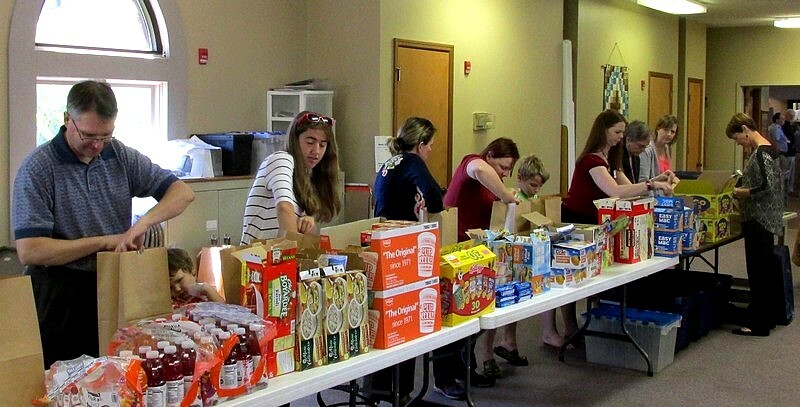 The program welcomes external groups interested in volunteering to pack the sacks in addition to member groups. Contact Toni Daniels.